Mahindra Scorpio price in Nepal | Jeep/Pickup - S5, S6, S7, S10, S11..
Mahindra Scorpio jeep in 2019 starts at the price range of around Rs. 51.85 lakhs in Nepal. Whereas, base model of Mahindra scorpio pickup will cost you Rs. 31.45 lakhs. Mahindra Scorpio jeep is undoubtedly one of the most popular and most selling SUV in Nepal. 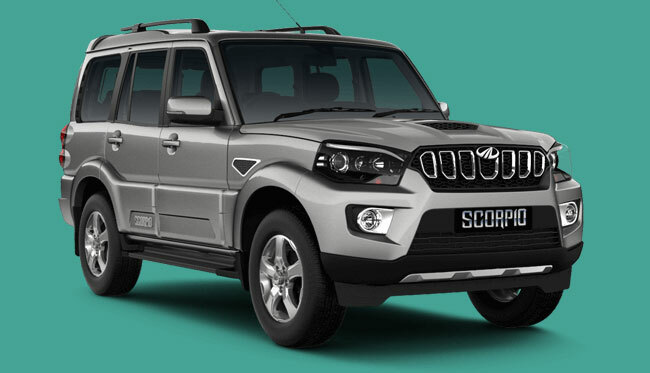 Agni Incorporated Private Limited, authorized distributor of Mahindra cars in Nepal, sell these Scorpio.These jeeps are particularly famous for long-distance travel and tourism. Their powerful engine, all-terrain capability and unique looks is what makes them stand out from the rest of the vehicles available in the similar segment. Please note that above price of Mahindra Scorpio Jeep and Pickup is subjected to change and is for reference purpose only. Kindly contact Mahindra Nepal to get the latest showroom price. Note: Mahindra Scorpio price list was last updated on February 21, 2019. Mahindra Scorpio is a mid-size SUV which comes with powerful M-hawk turbo-diesel engine. Mahindra scorpio also has its vehicle in pickup segment. Pickups are available only in double cab. For single cab, you may have to look for Mahindra Bolero Camper. Jeep variants of Scorpio currently available in Nepal include S5, S7 and S11 which comes with both 2WD and 4WD versions. All of these vehicles run in diesel. Agni Incorporated Private Limited officially distributes Mahindra scorpio vehicles in Nepal through its showroom and dealers located all over the country. Agni Incorporated has discontinued its other jeep variants such as S2, S3, S4, S6, S8 and S10 in Nepal. You can message us your queries regarding Mahindra Scorpio price in Nepal or its specifications, features at our Facebook page.